The Hamiltonian of an electron-phonon system in the second-quantization representation for all variables has been obtained. The models of effective mass and rectangular potentials for electrons and the polarization continuum model for confined phonons in a three-barrier resonant tunneling nanostructure are used. In the framework of the Green’s function method, the phonon-renormalized electron spectra are calculated for a three-barrier resonant tunneling nanostructure composed of GaAs wells and AlxGa1−xAs barriers with various Al contents x’s. Irrespective of the Al content, the temperature-induced variations in the geometrical configuration of the three-barrier resonant tunneling nanostructure within the temperature interval from 0 to 300 K are found to increase the widths of both lower (working) quasi-stationary states and decrease their energies. The widths and the shifts of the states turned out to be strongly nonlinear functions depending on the position of the internal barrier in the three-barrier resonant tunneling nanostructure. J. Faist, F. Capasso, D.L. Sivco, C. Sirtori, A.L. Hutchinson, and A.Y. Cho, Science 264, 533 (1994). J. Faist, F. Capasso, C. Sirtori, D.L. Sivco, A.L. Hutchinson, and A.Y. Cho, Appl. Phys. Lett. 66, 538 (1995). C. Gmachl, F. Capasso, D.L. Sivco, and A.Y. Cho, Rep. Prog. Phys. 64, 1533 (2001). D. Hofstetter, M. Beck, and J. Faist, Appl. Phys. Lett. 81, 2683 (2002). L. Gendron, M. Carras, A. Huynh, V. Ortiz, C. Koeniguer, and V. Berger, Appl. Phys. Lett. 85, 2824 (2004). F.R. Giorgetta, E. Baumann, D. Hofstetter, C. Manz, Q. Yang, K. K¨ohler, and M. Graf, Appl. Phys. Lett. 91, 111115 (2007). K. Ning, Q-U. Liu, L. Lu et al., Chin. Phys. Lett. 27, 12850 (2010). V.F. Elesin and Yu.V. Kopaev, Zh. Eksp. Teor. Fiz. 123, 1308 (2003). A.B. Pashkovskii, Pis'ma Zh. Eksp. Teor. Fiz. 89, 32 (2009). M.V. Tkach and Yu.O. Seti, Ukr. Fiz. Zh. 58, 182 (2013). G.G. Zegrya, M.V. Tkach, and Yu.O. Seti, Fiz. Tverd. Tela 55, 2067 (2013). M.V. Tkach, Ju.O. Seti, I.V. Boyko, and O.M. Voitsekhivska, Rom. Rep. Phys. 65, 1443 (2013). F.R. Giorgetta et al., IEEE J. Quant. Electr. 45, 1039 (2009). S. Yarlagadda, Int. J. Mod. Phys. B 15, 3529 (2001). M. Tkach, V. Holovatsky, O. Voitsekhivska, M. Mykhalyova, and R. Fartushynsky, Phys. Status Solidi B 225, 331 (2001). M.V. 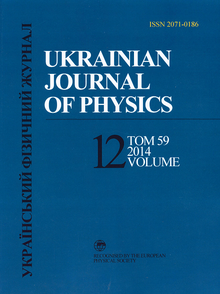 Tkach, Quasiparticles in Nanoheterosystems (Ruta, Chernivtsi, 2003) (in Ukrainian). X. Gao, D. Botez, and I. Knezevic, J. Appl. Phys. 103, 073101 (2008). J.G. Zhu and S.L. Ban, Eur. Phys. J. B 85, 140 (2012). N. Mori and T. Ando, Phys.Rev. B 40, 6175 (1989). K.W. Kim and M.A. Stroscio, Appl. Phys. J. 68, 6289 (1990). B.H. Wu, J.C. Cao, G.Q. Xia, and H.C. Liu, Eur. Phys. J. B 33, 9 (2003). H. Luo, H.C. Liu, C.Y. Song, and Z.R. Wasilewski, Appl. Phys. Lett. 86, 231103 (2005). C.H. Yu et al., Appl. Phys. Lett. 97, 022102 (2010). A.S. Davydov, Quantum Mechanics (Pergamon Press, New York, 1976). A.A. Abrikosov, L.P. Gor'kov, and I.E. Dzyaloshinskii, Methods of Quantum Field Theory in Statistical Physics (Prentice Hall, Englewood Cliffs, N.J., 1963).